Whisky, historically, experiences boom-and-bust cycles much like the larger economy. When times are good and people are drinking a lot of whisky, distilleries are opened or refurbished, production is ramped up, and lots of whisky is put into barrels. Usually, the 20-ish-year cycle follows this period of fat with a similar period of lean during which whisky drinking goes out of fashion, distilleries close or decrease production, and surplus barrels are sold at bargain prices to keep the lights on. (Traditionally, it is the function of independent bottlers to ease the impact of these cycles by buying excess barrels in the bust years and bottling and selling them in the boom years, a sound investment strategy). Another side-effect of the boom periods is that whisky prices soar, often accompanied by frenzied inflation in the value of ‘rare’ and collectible bottles. Right now, like it or not, we are experiencing a boom. Distilleries are opening or ramping up production, prices are ratcheting higher, and limited-edition bottles are making headlines with record prices at auction. Many distilleries are riding the boom by releasing special bottlings and limited-editions at inflated prices because they know there’s consumer demand for them. Just in the last 12 months, I have noticed prices at Costco, Trader Joe’s, and my local K&L Wines & Spirits sliding upwards. Glenlivet 12 used to be $21. It’s now $24. Glenfiddich 18 was $44 at Costco a few months ago. Now it’s $49. Balvenie DoubleWood 12 was $33 at Trader Joe’s for awhile. Now it’s $37. Even Finlaggan Old Reserve snuck up from $17 to $19 when I wasn’t looking. It’s not just the bottom-end, either. Ardbeg Alligator is absurdly overpriced despite its 11-year age because – why? Because it’s limited. Oh, and they used some new oak barrels. Pssh. So does Jack Daniel’s. Glenfiddich Cask of Dreams is 14 years old and is asking $99. Oh, and it uses new wood too. See David Driscoll’s thoughts on the matter here and here. 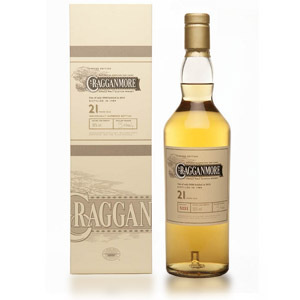 Don’t get me wrong – nobody is forcing anybody to buy these higher-priced drams, and many of them are quite good. David says Cask of Dreams is very tasty, and Alligator was nothing to be sniffed at, either. Maybe they’re even worth the price-tag considering their quality. I’m just pointing out that prices are on an upward slope, as are money-grabs like Alligator, the new single pot still Irish whiskies from Midleton, and Buffalo Trace getting consumers to pay for its research & development. I’ll pay $30 for a value malt or a decent blend or high-quality bourbon that doesn’t taste like paint thinner. If I can drink it straight without cringing, I’m sold. I’ll pay $50 for a distillery standard expression between the ages of 10 and 16, especially if I know I like the distillery’s house character. I’ll even consider paying this for a truly excellent blend or well-respected bourbon. I’ll pay $85 for a special bottling or limited-edition expression if it has something intriguing about it, like a Sauternes finish, fino sherry aging, a really good story, or which is a really spectacular single-barrel or vintage. Same goes for an independent-bottling of one of my favorite distilleries which shows a different side to the product (like an unusual cask finish or age statement). I’ll pay $99 – $120 (sometimes) for something at or older than 18 years of age, but only if I know in advance that I like it. I think the key to saving money is knowing what you like, and what’s worth the splurge. Knowing that Springbank really pushes your buttons makes dropping $99 on a fino-finished Springbank a more palatable proposition. Knowing that you’ll never see another Calvados cask finish makes dropping $85 on an Alchemist bottling of Highland Park worthwhile. Knowing which of the many blends provides a relaxing, satisfying sip can help you space out the expensive drams with cheaper ones. If nothing else, remember that this, too, shall pass and we’ll all be in a whisky bust as soon as something else becomes popular with young people in Japan. When açaí eau-de-vie becomes all the rage in the Argentina nightclub scene, it will be time to start thinking about buying up some of those excess casks of Glendronach! I agree with the sentiments here and at the K&L blog, but maybe we’ve all become a little bit spoiled? There is more interest in whiskey than ever before so prices were bound to go up, but we also have an unbelievable selection of products. New distilleries, independent bottlers, cask finished expressions, older expressions, and that’s just bourbon! 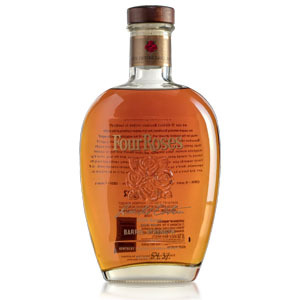 I still think that most bourbon prices are quite a deal for the quality you are getting. I won’t complain too much when I can grab High West Double Rye for $35, Weller 12 year for $25, and Buffalo Trace for $22. Should price trends continue then perhaps my tune will change, but for now I still think it’s an amazing time to be a whiskey aficianado. Funny you mention the price inflation. I was just noticing the same thing lately. I was at one of my favorite scotch shops just this last Friday and thy were repricing all of their bottles. I snapped up the last bottle of Balvenie Single Barrel before they marked it up $5. I also snapped up a Port Ellen 7th release for a very friendly price. Good thing I have been stock piling for a while because it seems that my buying days are going to be few and far between until this bubble pops. It may take a few years but one of the newest distilleries, Roseisle, has an annual capacity of an astounding 12.5 million liters. Tat is going to make a difference. There are still good deals to be found, but it seems as though they are going to be very hard to find for a while. EVERYTHING is a bargain in the U.S. compared to Canada. You don’t know how good you’ve got it. For example, Balvenie Doublewood is $70 in Ontario (at current exchange rates that’s $70.11 USD, no kidding). And even if we wanted Ardbeg Alligator, we can’t get it. I’m giddy as heck if I can buy something I love for under $100. Amen to that! When Lagavulin 16 is $109 CAD (75cl), and even something like Glenfiddich 12 is $47 CAD (75cl; for another price comparison Aberlour 10 is $45 CAD for a 75cl bottle). Prices seem to make no sense…in September last year, my wife, who travels for work, was able to pick me up a 100cl bottle of Balvenie Doubewood in Ethiopia for approximately $60 CAD (while here in Ontario, a 75cl bottle is $69)…and then it was nearly confiscated by UK Customs & Excise when she transited through Heathrow because she was importing product from a non-EU country, but that is another story entirely. Dollar bills don’t know where they came from or where they go. Politicians justify taxing the h3ll out of booze in Canada by saying it goes toward health care. Reality is all income, consumption, booze, fuel and other taxes go into government coffers and then politicians dole it out as they see fit. If governments were willing to spend less, they could tax less. They might lower taxes on gasoline or booze or income. Yes, point well taken. We pay for our “free” healthcare with those taxes. I just wish they’d go easier on the alcohol and heavier on, well, other stuff. Like, for example, stuff I don’t buy! Knob Creek used to be $20 too, usually $35-40 now. Glad I have Costco for that one, though) and many others have gone up by $20-30. For the most part, though, Bourbons have stayed relatively stable over that period. Despite the price increase, overall I’m glad whisky/whiskey drinking has gained in popularity, it means distilleries and distributors have more money to ship the product further. Five years ago I couldn’t get Lagavulin 16 in my area (Well, easily). Now it’s at Costco. That 12 yr Dalmore is now $50 in most stores; another skyrocketing single malt is the 12 yr Balvenie DBL Wood (was $35 a few years ago, but now it’s at least $50). If ya ever find a good deal on a whisky that you like – stock up! Hey… love your site… this is a great article but would love to see updated pricing! Locally, I just paid $47 for a bottle of Laphroaig 10, and $62 for a bottle of Balvenie 12. I curse the day I chose to put average/estimated prices on my reviews. At the time, I didn’t know that everything would double in price every 2 years. 😉 It doesn’t help that whisky prices are wildly different between the East and West coasts, and also very different in Canada. I sometimes go back and spot-correct them, but the job is just too big to fix them all. Plus, I’d have to do it again next year! Happened on this post today, 9/1/2016. And it’s a riot! A bottle of good scotch for $30? I’m super fortunate that my local whiskey guy can get me Talisker 10 for $60, and any kind of cask strength, limited release, or 14 years and up is at least $100, and many things you’d like to try, like Octomore, are $160-$225. I started drinking Lagavulin in 1988, when you couldn’t sell it as paint remover. It was outstanding. I miss those days. Indeed, the trends discussed in the (outdated) article above have continued unabated. Ah, what a difference a few years makes. Prices just keep going up. Sigh. In planning for my periodic trek to the bright lights of Fort Worth to go whiskey shopping, I modified your guidelines &or 2018 by using the prices you listed as the beginning of a range leading to the next price point. So $30 becomes $30-49, $50 becomes $50-84, $85 becomes $85-99, and $100 becomes $100-150. I’m still a relative newcomer to the single malt world but I have sampled enough to know a couple of flavor profiles I enjoy. So when I go shopping I plan to focus on either purchasing bottles I liked the first time or upgrading from a standard selection to an older scotch from that distiller, as well as picking up a couple of beginning level selections from flavor profiles I have not tried. Talisker 10 $62. This is the scotch I enjoyed the most from my initial selections. By a lot. I guess this makes me a Smokey-peppery-kinda Sweet kind of scotch guy. Highland Park 18. $135. I really enjoyed the 12. It was my second favorite. From your comments and from other reviews, the 18 sounds like it might be worth a “splurge,” especially since there is no obvious huge upgrade from Talisker. Lagavulin 8. $60.thought about going all in with a peaty Islay but decided to take a “half step” and go with this limited release peaty-but-not-as-peaty-as-Ardbeg-or-Lagavulin 16 offering. Oban 14. $70. Kind of pricey for a standard expression, but I’m gonna try it to see if I like a prototypical Highland scotch. Glendronach 12. $57. Now costs more than the Macallan 12, but your review made this offering sound so appealing I’m choosing it over the Macallan. I”m also planning to pick up a $40 bottle of Angel’s Envy bourbon, having tried less expensive offerings from Maker’s Mark, Knob Creek, and Four Roses. I’m interested in your thoughts about my price guide update as well as the specific choices I have made. Thanks for your hard work. It’s been very helpful. 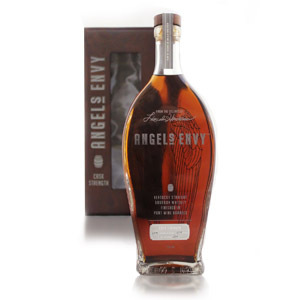 Prices do continue to climb, and your modification is reasonable 🙂 $40 is a good price for Angel’s Envy… I think it punches above its weight class at that price (although the Cask Strength and Rye versions are vastly overpriced). $70 is a lot for Oban (I’ve seen it spike that high here as well), and if you can find The Balvenie (12+) or Dalwhinnie 15 for less, those could be considered equivalents. Ditto for Clynelish 14, which may even be better than Oban. For an “upgrade” to Talisker, maybe look for Ardbeg Corryvreckan if you can find it for under $80. Cheers! I appreciate your helpful feedback. I found the Ardberg Corryvreckan for $78 and I think I will go that route rather than the more expensive Highland Park. I also found the Clynelish 14 for $57 , the Dalwhinne 15 for $59 and the Balvenie 12 for $50. All much lower than Oban. A friend recommend Aberlour 12 $47 or 16 $78 as an alternative to the Glendronach for a sherried scotch. What are your thoughts about Aberlour? These are prices on line from Total Wines or Spec’s, a local Texas chain with stores in Fort Worth. I live about two hours from Fort Worth but prices in my hometown are such that a whiskey shopping trip quickly pays for itself. (Local price for Talisker 12 is $89, for example). I’ll check the Fort Worth Costco and Trader Joe’s To see if they have lower prices than I have found on line. If not, there’s a Total Wine less than five miles from Costco. I like the Aberlour 12, although it’s not as heavily sherried as the cask-strength abunadh, which is my favorite release from Aberlour. The 16 is a bit overpriced. I made the 125 mike trip to Fort Worth and came home with 15 bottles to restock my liquor cabinet. I went with a list in hand but changed a couple of things based on the recommendation of my whisky guy who pointed me toward several hard to find bottles or good deals they were offering. Average price was $62.40, median price was 57.51 and the mode was between $40-50. Maker’s Mark Bourban. My wife’s favorite mixer. W.l.Weller’s 12. Hard to find since word about this being a “poor man’s Pappy” has gotten out. At $21 this may be the best deal I purchased. Balcones Baby Blue. Made in Texas for Hopi Blue Corn. A fun purchase. Glen Moray 15. Bought instead of Balvenie Double Cask based on store rec. Talisker 18. My splurge @$121.11. $40 for Angels Envy and $47 for EH Taylor Small Batch fall under the max. I paid $57 for Talisker and $64.50 for Oban. Even with an additional 5% off for cash, both were over 50. The Glen Moray was $45 before the additional 5%. Macallans Classic Cut @ $73 works and Hazelburn 13 Oloroso Sherry @ $ 86 was under your $85 limit with the cash discount. 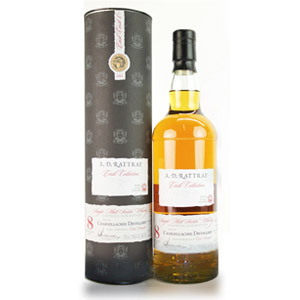 Bunnahabhain 18 @ 97.30 fits and the Talisker 18 was under $120 with a cash discount. I’m not sure which categories either the Aberlour Ah Bundah or Lagavulin 16 fall under so I Didn’t include them. Otherwise, most of your price guidelines from 2012 still work. Amazing. Well done, and thanks for the detailed writeup! Enjoy your purchases, sounds like a good lineup. Cheers! I found your guidelines quite helpful. I didn’t want to slavishly adhere to strict price limits. After all it’s now six years later and prices have gone up consderably, but it was nice to discover that good whiskey can still be found at 2012 price points. In my case that involved finding a liqueur store that gave case discounts for a mixed case and an additional discount for cash. Thanks for your blog and all the excellent advice you offer. Talisker 18 at $121 is a decent price. I buy it from Scottish purveyors and have it shipped to my home in California. 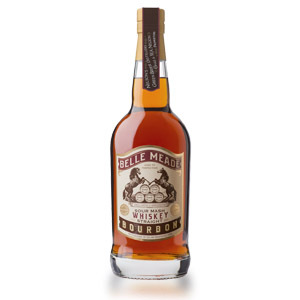 price works out to between $110 and $125 per bottle, which is still less expensive than any local liquor store. And I order a lot of other whisky from my local K&L.